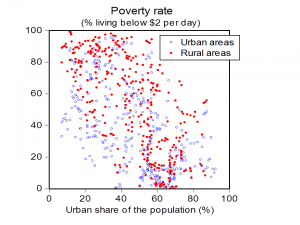 A marked difference with rich countries is that the chance of being poor is higher in rural areas than urban areas of developing countries; there is much less difference (if any) in most rich countries today. EOP (Chapter 7) shows that about three-quarters of the developing world’s poor still live in rural areas. Over the last 30 year, the poor have been urbanizing faster than the population as a whole, reflecting a lower-than-average pace of urban poverty reduction. There has been more rapid progress against rural poverty than urban poverty. This reflects the processes of population urbanization. 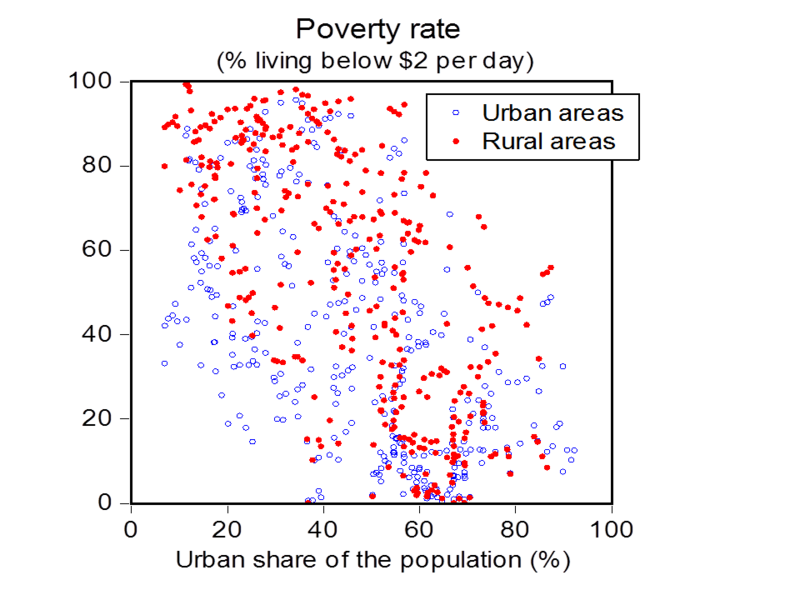 Faster urbanization of the population has generally been associated with more rapid poverty reduction in the developing world, although urbanization processes have been more pro-poor in some countries than others.